New York, NY – Beth Kimmerle, in partnership with the The National Confectioners Association, presents Sweet&Salty:Artworks (see complete slideshow on lower right) an exhibition of 15 works made by artists who are inspired by chocolate, snacks and candy.Curated by Beth Kimmerle, writer and confectionery historian, the exhibition is made up from pieces from her private collection and will be on view at the SWEETS & SNACKS EXPO® at McCormick Place from May 24-26, 2011. The show is organized by the National Confectioners Association and made possible by support from its members. Kimmerle's contemporary artwork collection showcases painted works, fabric, photos, and graphic images. Also exhibited are 3-D works including custom made piñatas and light-up gummy bears. A hanging chandelier made of 3,000 acrylic candy pieces is displayed in the area where visitors can become sweetly inspired while resting on a colorful candy button bench. 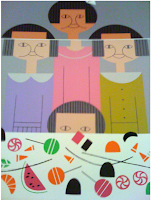 The selected artists found muses of the sweet and snack-worthy variety; the artwork includes odes to favorites from licorice to lollipops and pretzels to peanuts. Featured artists include: Craig Kanarick, Elizabeth Victoria Knowles, Edie Harper, Jason Chase and Danielle Byrne, a designer who illustrates sweets and snacks as they remind her of celebratory times as a child. Along with their good memories and "sweet teeth", the artists respond to the vibrant colors and iconic shapes of the products. The SWEETS & SNACKS EXPO® is the largest confectionery and snack trade show in the United States, featuring more than 500 exhibitors and nearly 15,000 attendees. This year's inaugural art gallery will educate and also explore the ways in which people are creatively motivated by candy. 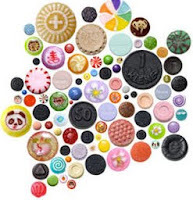 The gallery will create a forum and an area for exchange of creative ideas surrounding candy. PRESS TOUR AND IMAGES A press tour may be scheduled. High-resolution digital images are available to the press. Please provide contact information to receive detailed download instructions. mailto:media@bigtipscandy.com. ABOUT Beth Kimmerle, chocolate and candy expert and historian, has served the confectionery industry as a writer and consultant. 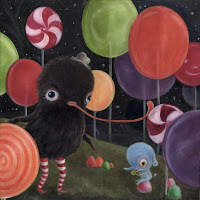 She has worked on candy museums and exhibits in the U.S., Japan, Canada and currently, San Juan, Puerto Rico. She is the author of four books documenting the history of America's confectionery industry. Her latest is titled Blommer: An American Chocolate Legacy. Beth has made appearances on the Food Network, History Channel, National Public Radio, NBC's The Today Show and Martha Stewart Living. Beth has been a featured candy-making instructor and lecturer at The Chicago History Museum, Princeton University, University of Chicago, and the New York Chocolate Show.